Is it snowing in Sheregesh ?¡Gracias! Sheregesh has consistent snow throughout the season (November to March). Sheregesh is a remote miners settlement that is becoming popular with those searching for the best powder in Russia. There are 6 lifts here and 5 trails. 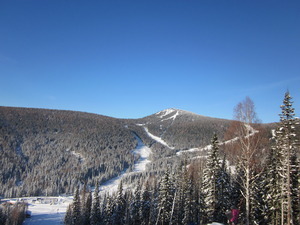 The terrain at Sheregesh is mainly suited for beginners and intermediates.